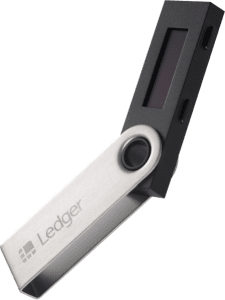 Ledger Nano S is the most popular and secure hardware wallet, trusted by both novice and professional traders to secure their digital assets. It is a multicurrency wallet as it supports a wide range of cryptocurrencies like Bitcoin, Ethereum, Litecoin and hundreds more. Ledger Nano S ensures maximum protection for your digital assets as it is built using a secure chip which is similar to the chip used in credit cards. 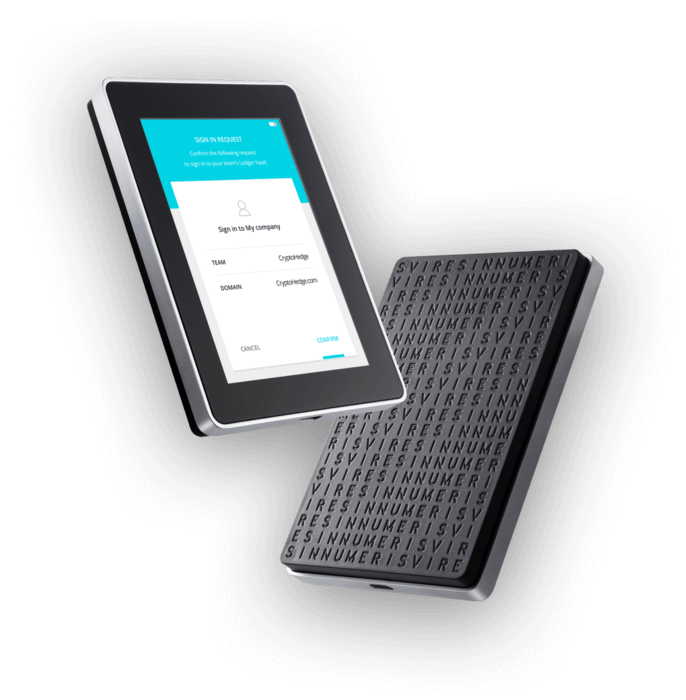 The Ledger Nano S comes with a screen which is used to display information about all your transactions. Also, it has 2 buttons which are used to control the entire operation of the hardware wallet. The Wallet doesn’t require any charging for its operation. It uses power from your PC when it’s connected. Since it uses a highly secure chip, and is not connected to the web, it is almost impossible for hackers to steal coins from this hardware wallet. The price of the Ledger Nano S hardware wallet is €59, and is available in different colours, namely Matte Black, Saffron Yellow, Lagoon Blue, Flamingo Pink, Jade Green and Transparent (on top of this, the Nano S, Ledger offers us one more model named Ledger Blue which for more advanced users and priced at €279.99 as well as a Ledger Nano X pre-order for €119). Express Shipping is free worldwide. Over 1.35 million units have been sold so far. Avoid buying this wallet from eBay and Amazon to prevent being scammed. For safety, we recommend buying it only from the Ledger official website. Bitcoin (BTC), Ethereum (ETH), Bitcoin Cash (BCH), Bitcoin Gold (BTG), Ethereum Classic (ETC), Litecoin (LTC), Dogecoin (DOGE), XRP (XRP), Zcash (ZEC), Dash (DASH), Stellar (XLM), Qtum (QTUM), Bitcoin Private (BTCP), Tron (TRX), Waves (WAVES), EOS (EOS), IOTA (IOTA), Stratis (STRAT), Komodo (KMD), Ubiq (UBQ), Viacoin (VIA), Ark (ARK), Expanse (EXP), Neo (NEO), Stealth (XST), Hcash (HSR), Digibyte (DGB), Horizen (ZEN). Update: Cardano (ADA) support has been integrated in the Nano S on Wednesday 27th March. Ledger Nano S can be connected to the computer via a USB 2.0 port. The operating systems compatible with the device are Windows (7 and higher), Mac (10.8+) and Linux. If any item is missing from the list above, don’t hesitate to contact the seller immediately. Ledger Nano S comes with a built-in anti-tamper software which will automatically detect if the device has been tampered or altered from the moment it left the factory. PIN code should be blank. If it is not blank, then the device is not new and the user should contact the support team of Ledger without any delay. Avoid buying the wallet from eBay and Amazon to prevent being scammed. Before starting to use the Ledger Nano S, the users must do two important things: Setting a PIN and make a note of the recovery seed. Connect the Ledger Nano S to your computer using the USB cable. Follow the instructions on the screen and press both buttons on the Ledger device to proceed to the next step. Kindly ensure that you are selecting the option Configure as a new device. To set the PIN code, the user must use the two buttons. Press any one of the buttons to increment/decrement the digit whereas pressing both buttons will select the digit. Now, using the two buttons, set your desired PIN code. (Don’t use numbers like birth year, date etc. Try to choose a unique PIN code). Once you entered all the digits of the PIN code, press both buttons to confirm the code. Now you have successfully created the PIN code. Next, you must enter the 24-word recovery phrase on the recovery sheet, provided in the box, one by one. First, enter the first word of the phrase on the sheet. Then, press the button to view the second word and write that down on the recovery sheet. Repeat the procedure to write all the 24-words on the sheet. Finally, you must confirm the recovery phrase (using the two buttons) to complete the initialization process. Please keep the recovery sheet in a safe place so that you can use that to recover your coin in case the wallet is lost, broken or stolen. In order to send and/or receive crypto assets using Ledger Nano S, you need to install the Ledger Live Software on your computer. Ledger Live can be downloaded from here. Connect the Ledger Nano S to your computer and open the Ledger Live app. In this example, we will assume the user had already initialized the device, that is, steps 1 to 7 listed in the review section above are completed. Hence, option 3 is selected. Select Ledger Nano S and click Continue. Now, you will be asked a few security-related questions and the Ledger Live will try to communicate with your device to check if it is genuine or not. This completes the security checklist. You can set a password for the Ledger Live app in case the computer is shared with other members of your family. 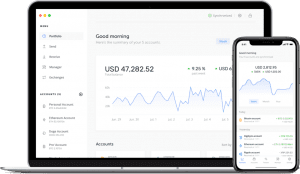 Using the Ledger Live, users can download the latest firmware on to their Ledger Nano S.
To send or receive crypto assets, users must download the relevant cryptocurrency app using the Ledger Live. 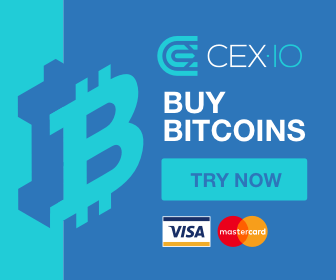 Follow the procedure below to download the Bitcoin (BTC) app to send and receive BTC. Open the Ledger Live app and select ‘Manager’ on the left hand side of the page. Connect your Ledger Nano S to the computer and unlock the device. On your device, click ‘Allow’ when it is prompted. On the Ledger Manager, search for the Bitcoin app from the list of apps. Then click the Install button for the app. You will see the text ‘Processing’ on your Ledger Nano S. The app installation will be completed within a few seconds. Follow the above procedure to install apps for all the cryptocurrencies you would like to send/receive using Ledger Nano S.
On last step before sending and receiving crypto assets, is adding a new or existing account for that asset. Open the Ledger Live app and click the ‘+’ icon on the left side of the page. Next, select the asset from the drop-down list for which the account needs to be created. Connect the Ledger Nano S device and unlock that by entering the PIN code. Follow the on-screen instructions to add the account to Ledger Live. Follow the steps below to receive any crypto asset accepted on the Ledger Nano S.
Open the Ledger Live app and click the ‘Receive’ button located on the left side of the page. Select the asset account from the drop-down list to receive the funds and click the ‘Next’ button. Now, connect your Ledger Nano S device and unlock that by entering the correct PIN code. 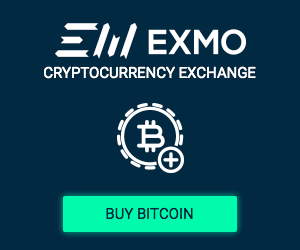 Open the relevant cryptocurrency app for the crypto asset you would like to receive on your device. (Eg. Ethereum). Click ‘verify’ to generate the receiving address for the asset by following the on-screen instructions. Now you must verify whether the address displayed on your computer and the Ledger Nano S is the same. If yes, then press the right button on your device to confirm the address. If not, you may either type the address yourself or copy the address displayed on the computer to share it with your sender. Once the sender completes his transaction, you will receive the coins on your wallet. In order to send a crypto asset from Ledger Nano S, follow these steps. It is assumed that the user already has some digital assets stored on the Ledger Nano S.
Open the Ledger Live app and click the ‘Send’ button located on the left side of the page. Select the asset account from the drop-down list to debit funds. Next, connect your Ledger Nano S device and unlock that by entering your PIN code. Open the relevant app for the crypto asset you would like to send from your device. (Eg. Bitcoin). Go through the transaction details displayed on the device and follow the on-screen instructions to authenticate the transaction. Congratulations! You have successfully sent digital currency using Ledger Nano S.
As soon as the crypto assets are stored on the Ledger Nano S, it is not possible to move the funds out without holding the device. That’s why it is impossible for the hackers to steal coins from the wallet. Because they can’t access the Ledger Nano S as it is an offline device. This type of storage is also know as cold storage. The Ledger Nano S is shipped with a built-in anti-tamper software which automatically detects if any tampering or other kinds of violation is done to the Wallet after it is shipped from the manufacturer. Ledger Nano S allows users to recover a wallet in case it is misplaced, stolen or broken by entering the recovery phrase. Without a recovery phrase it is not possible to replace or restore your device. 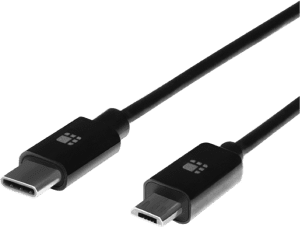 Connect your new Ledger Nano S to your computer using the USB cable. Press both the buttons on your device and select the option ‘Restore a configuration’ when it is shown on the device. Follow steps 3 to 5 from the ‘Initial Configuration’ section to set the PIN code. Select the words of the recovery phrase one by one using the buttons. Once your recovery phrase is entered and verified, you will see the message ‘Your device is now ready’ on the screen. For a reasonable price of €59, this wallet supports a lot of cryptocurrencies which makes it a popular choice among crypto investors. Generally, the customer support of Ledger Nano S seems to be a bit slow as voiced by the users on Reddit however general reviews are quite positive. Both Ledger Nano S and Trezor are hardware wallets used to secure the crypto assets offline. Trezor was launched before Ledger Nano S. Even though the majority of the features on these two devices are quite similar, there are few differences between the two. For example, Ledger Nano S supports a large number of cryptocurrencies when compared with Trezor and Trezor costs slightly higher than Ledger Nano S. Regarding the wallet software, Trezor is considered a better choice than Ledger Nano S due to its advanced firmware. Regarding the hardware, KeepKey has only one button whereas Ledger Nano S comes with two buttons. Ledger Nano S not only supports a number of crypto assets but also works at a much higher speed than KeepKey. The display screen of KeepKey is bigger than Ledger Nano S. Both the devices are easy to configure using their own proprietary software and provide extreme security to the customer’s funds. If you are looking for one of the most secure hardware wallets developed by the company Satoshi Labs, Trezor should definitely be your go-to wallet.